designovationhome has no other items for sale. This photo album holds up to 300 4x6 photos horizontally in clear pockets. 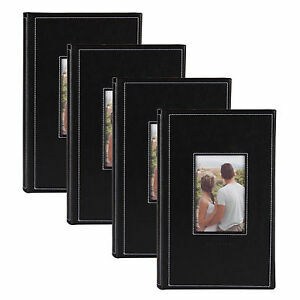 Photo safe and acid free clear photo pockets for horizontal 4x6 photo display. Sales tax may apply when shipping to: AR*(6.5%), IL*(6.25%), IA*, MN*, TX*(6.25%), WA*, WI*(5.0%). This Seller is a total pro! Thanks so much. Beautiful! Just what I was hoping for! Thank you! !